Shop how you want, when you want, and where you want. BREE JACOBY is a luxury styling service specializing in closet edits, personal styling, custom clothing, consulting, and in-home tailoring. We take the guesswork and hassle out of shopping so you can look your best without ever having to lift a finger—or set foot in a retail store ever again. Now you will have clothes you love and a stylist you can trust. We do the shopping for you, then get together for a completely personalized styling session. Buy what you like and we’ll return the rest. Meet with your stylist in the comfort of your own home, come visit us, or work with us virtually. Our team works on a flat rate fee and we charge at retail for the clothes we get from our brands. Your closet should work for you. 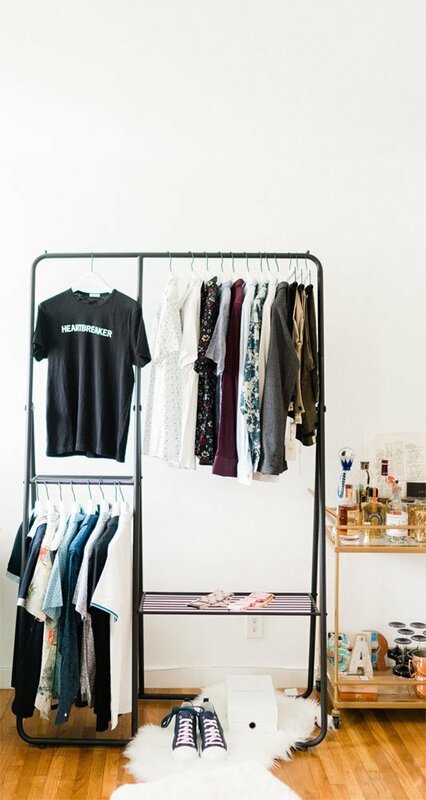 Your dedicated BREE JACOBY stylist will come to you to help reorganize and edit what you already own, determining what works—and donating or selling the rest. Our team of custom clothing specialists can outfit guys in anything from suits to button down to outerwear, made to your exact specifications. Never think about shopping again. Stress- and hassle-free shopping. Direct, one-on-one access to your dedicated stylist. You can use your sessions towards outfitting or purchasing new looks. We offer different tiers of 6x to 12x a year appointments and virtual sessions with no minimum spend. 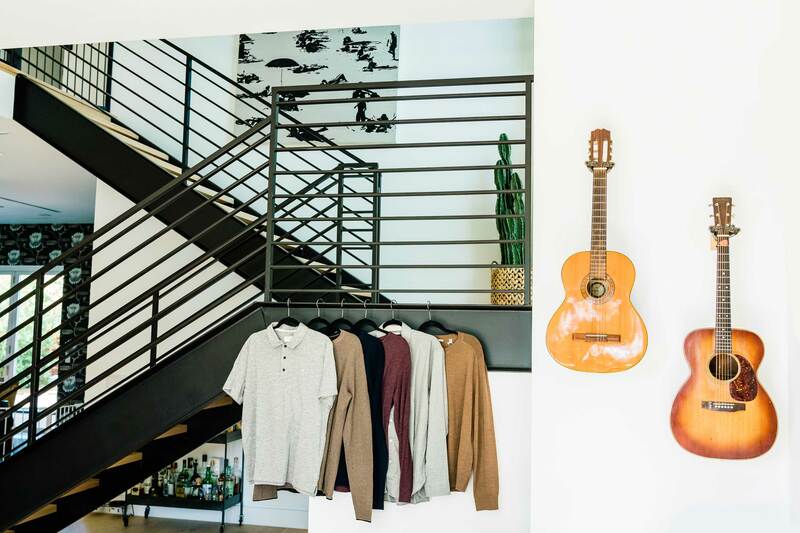 Curated digital wardrobe based on your current closet. Fill out our BREE JACOBY style questionnaire. Then enjoy a complimentary, one-on-one phone consultation with your stylist so we can get to know you. Because it’s always personal with us. Depending on your styling goals, we usually start your BREE JACOBY style experience with a house visit. This includes a one hour closet edit as well as your shopping appointment. We also offer à la carte custom clothing appointments. BREE JACOBY is with you every step of the way for all your styling needs. So you can look—and feel—your best, for whatever life throws your way. We’ll maintain your wardrobe with a digital lookbook after each and every visit, so you can be sure you’re always putting your best foot forward. We bring luxury brands to you. See our list of over 100+ brands. Our best-in-industry customer service always goes the extra mile. We make sure you feel ready to take on the world, no matter what life throws your way. "BREE JACOBY is amazing! My stylist, Bree, got my closet and my look totally dialed in. The process was fun, easy, and way better than I expected! I fully endorse her if you need someone to kick your style in gear and help you make the most of your wardrobe." "Bree is awesome, she listens, makes great recommendations, and is ON IT! Highly recommend. " "BREE JACOBY is a personal shopping service who help edit your closet and get rid of things that you don't wear (and don't need), and then shops for you to build outfits and create a wardrobe that you love. Now when I look at my closet, I only have pieces that I love!" Before I met Brooke from BREE JACOBY my wardrobe was not where it needed to be. I dislike shopping, so having this luxury service is a game changer. They bring everything to me, and within an hour I get new clothes and custom jackets from the comfort of my own home. Now, my whole wardrobe is curated by BREE JACOBY digitally as well. I have loved working with this service and being a member. Thanks to the BREE JACOBY team. "Brooke is the style concierge you want in your back pocket; whether or not you have any sense of style yourself. She's lightening fast on the uptake, and will quickly focus in on what matters to you, fits your personality, and makes you look great...then she'll stretch your limits a little and you'll love the results. Brooke has fitted me for casual, business and custom suits." "I can't say enough great things about Bree and her company. She is a fantastic stylist and has really helped me up my fashion game. I don't have a lot of time to shop with my busy work and life schedule. Bree has all my measurements and picks clothes for me to try. It's simple I keep what I like and the rest she takes back. My favorites have been some custom suits, sport jackets and shirts." "BREE JACOBY is the best! They're always available for even the simplest of questions (and I've asked many) and is great about finding outfits for your own style, or building up a personal stye if you don't have one. I've gotten so many compliments from friends and strangers since I started working with them. The BREE JACOBY team has really turned my fashion life around." "I had a wonderful experience with BREE JACOBY to update my wardrobe. Brooke did a great job determining what items needed to be replaced in my closet, and picked out a good range of clothes for me to try on. I was delighted that Brooke selected fashionable clothes for me that matched my personal style. I was also very impressed by the quality brands that Brooke brought." "Ladies, BREE JACOBY is the best in the business. I'm a busy attorney juggling work, my personal life, and if I feel so inspired, the gym. When I found time to shop, I couldn't find anything I liked. And I'm not a model, so shockingly, when I shopped online the clothes looked very different than they did online (sigh). Then came Bree. She made looking great SO easy. She picked the perfect clothes that fit my body and made me look amazing. BREE JACOBY is fantastic and the service is beyond worth it." "BREE JACOBY is changing the future of retail." "BREE JACOBY is #BossBabe, fashionista, and stylist. She knows what it takes to be a stylist." READY TO STEP UP YOUR STYLE GAME?